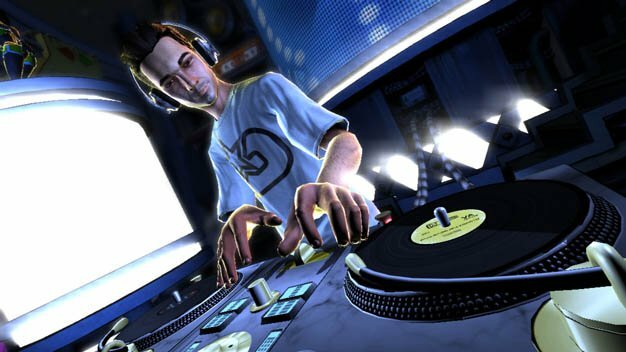 With Football Manager 2010, Wii Fit Plus, Grand Theft Auto IV: Episodes from Liberty City and Tekken 6 all debuting among the UK’s top 10 sold games last week, DJ Hero has fallen slightly behind, taking the #20 spot in the charts. The UK seems to be more interested in sports game at this time than once again going for the “Hero” formula, procuring yet another plastic instrument to the ever-growing collection of, well, plastic instruments. Will Activision’s “Hero” franchise ever give us an anaphylactic shock, or will we continue our pursuit in trying to assemble the biggest mash-up of a band ever? If the charts are to be believed, the latter would be the truth.